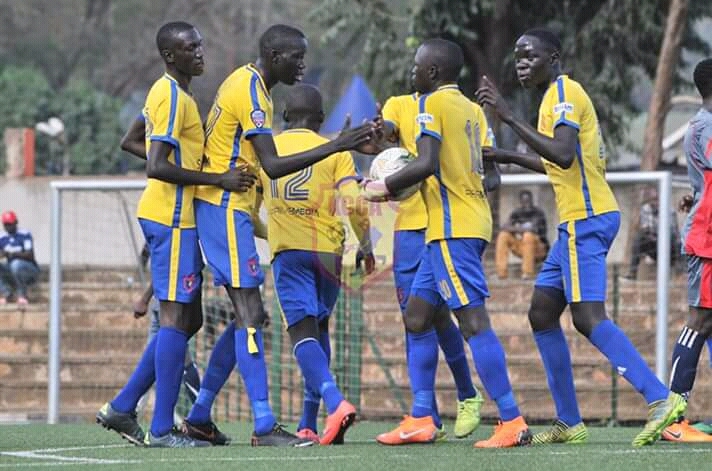 ARUA – KCCA Junior Team’s Sadat Anaku and Justine Opiro where on sight as they drew 2-2 away to their Onduparaka counterparts in Arua. The visitors opened the floodgates inside 2 minutes courtesy of an Opiro strike. Three minutes later, Onduparaka’s Anthony Kenty leveled matters for the hosts with a simple tap-in. Onduparaka tried to stretch hard for a half time lead but KCCA JT goalie Anthony Emojong was up to challenge. However, the half time lead would belong to KCCA as Sadat Anaku’s scored on 42 minutes. FUFA Junior league player of the year, Abdul Iddi Wahid’s late goal was enough to seal a draw against the hosts. The draw sees KCCA FC JT stay top of Treble Group with 19 points while Anaku extends his goal tally to 16 goals and currently leads the scorer’s charts.